Con Alma Health Foundation brings people together to gather information, discuss issues and develop solutions that address the state’s health needs. This includes bringing people together to learn more about federal healthcare reform and what it means for New Mexico. A write-up of this part of our “Beyond Grantmaking” work appears in the February 2013 issue of Green Fire Times. The Green Fire Times is well known for its coverage of environmental and sustainable issues. 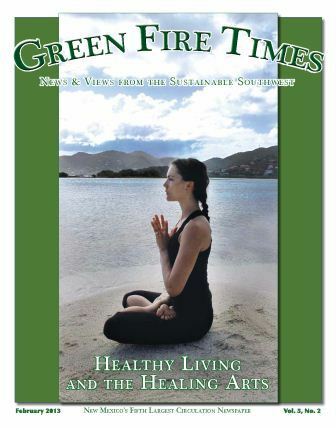 The February 2013 issue looks at health from Green Fire Times’ unique perspective.